If you’re trying to eat better foods that help stroke recovery, then you’ve come to the right place. We’re about to share the best food for stroke patients – and it’s all backed by science. 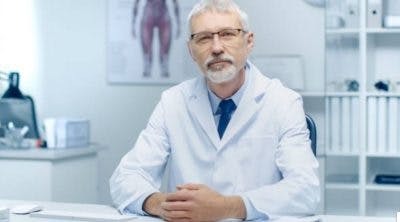 If you’re looking for a healthy diet for stroke patients, be sure to include these foods after your doctor’s approval. But before we dive in, we’ll quickly share why these foods help with stroke recovery and brain health. The following foods help with stroke recovery because they promote the protein brain-derived neurotrophic factor (BDNF). BDNF is great fuel for stroke recovery because it enhances neurogenesis, which involves the creation of new neurons in the brain. Neurogenesis is different from neuroplasticity, which involves the rewiring and reorganizing of the brain. Instead, neurogenesis ihelps regenerate new cells and pathways to compensate for the damage from stroke. So if you want to boost brain health and recovery after stroke, be sure to include these foods in your diet. Okay, this first one isn’t a food that you should eat – rather, it’s a couple of foods that you should definitely avoid! Studies show that saturated fat and sugar reduce BDNF, neuroplasticity, and learning. You definitely want to avoid these foods in a healthy diet for stroke patients. Because eating saturated fat and sugar reduces BDNF and stifles your brain’s ability to grow new brain cells, which is the opposite of your stroke recovery goals. Plus, saturated fat and sugar promote weight gain, which is a stroke risk factor. So try your best to avoid eating these foods. Even organic sugar is still refined sugar, so do you best to avoid all sources. 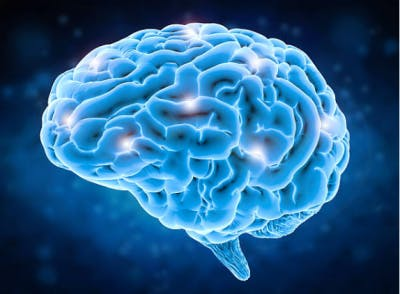 Omega-3 fatty acids have been shown to help normalize BDNF levels and protect against reduced plasticity and impaired learning after traumatic brain injury. This is essentially the opposite of what saturated fat does to our brain — and that’s great news! This means that brain cell regeneration goes up while potential negatives go down. Since you want to activate neuroplasticity during stroke recovery, it’s a great idea to focus on getting your omega-3’s. So a healthy diet for stroke patients can include plenty of salmon. Fish tacos anyone? Blueberries are well-known for their memory-boosting qualities, but did you also know that blueberries also help boost neurogenesis and cognitive function? In other words, the flavonoids (antioxidants) in blueberries help boost brain function and neurogenesis. Score! 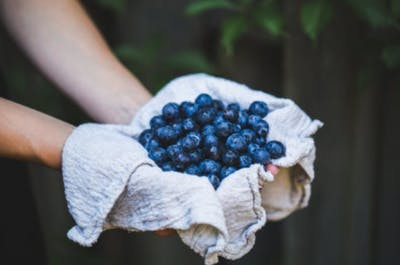 While the supplementation in the study included a ‘flavonoid-rich blueberry drink,’ we personally recommend getting your flavonoids from real blueberries. While you can enjoy fresh blueberries straight from the source, there are many other ways to get them into your diet. You can freeze them and blend them into smoothies, or you can stir them into your morning oatmeal or salads. However you do it, feel good about your decision to eat for a better recovery! Now that you know the best foods that boost BDNF, we’d like to share 5 more excellent foods for stroke patients. Although these foods don’t specifically boost BDNF, they are clinically-proven to boost brain health overall. Whether you’re eating them or drinking their juice, pomegranates are high in potent antioxidants, which help protect you from the damage caused by free radicals. 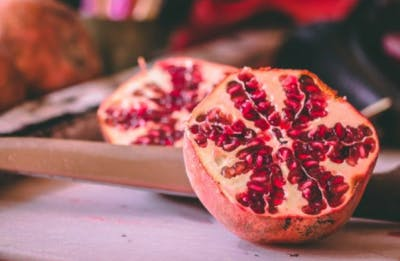 Since the brain is most sensitive to free radical damage, pomegranates easily make the list of best foods for stroke recovery. When you hear the word tomato, do you also think of lycopene? If so, we’re not surprised. Tomatoes received massive attention when they were discovered to be a rich source of the antioxidant lycopene. Lycopene was found to provide neuroprotective benefits and reduce the effect of brain damage due to ischemic stroke in rats. Many lycopene supplements now exist, but we recommend getting your lycopene straight from the source. 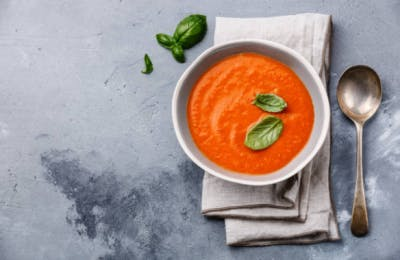 So tomato soup (without added sugars) makes great food for stroke patients. Nuts and seeds are a good source of vitamin E, an antioxidant that corresponds with less cognitive decline as we get older. 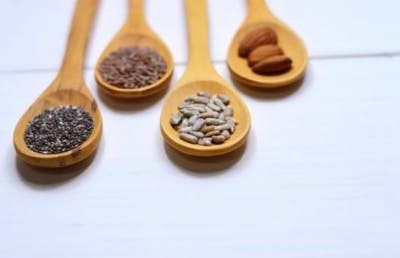 Try adding some walnuts or flaxseeds (which are both a good source of brain-boosting omega-3s) to your morning oatmeal or smoothies. Avocados are a fatty fruit that can help you think faster! 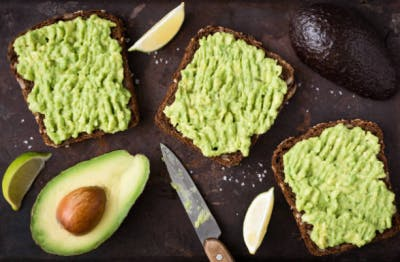 The grey matter in your brain that processes information relies on oleic acid to perform at optimal speed, and avocados are an excellent source of oleic acid. Try adding a quarter of an avocado to your sandwich, salad, or smoothie! Beans help deliver glucose to your brain, which is your brain’s primary source of fuel. They also help your blood glucose levels stabilize, which steadies the supply of glucose to your brain. 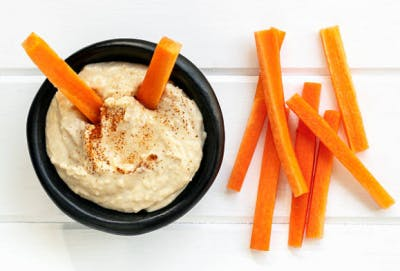 Our favorite ways to get beans are homemade hummus and black bean dip. We’d like to end this list with a specific diet clinically proven to improve stroke recovery: the MIND diet. 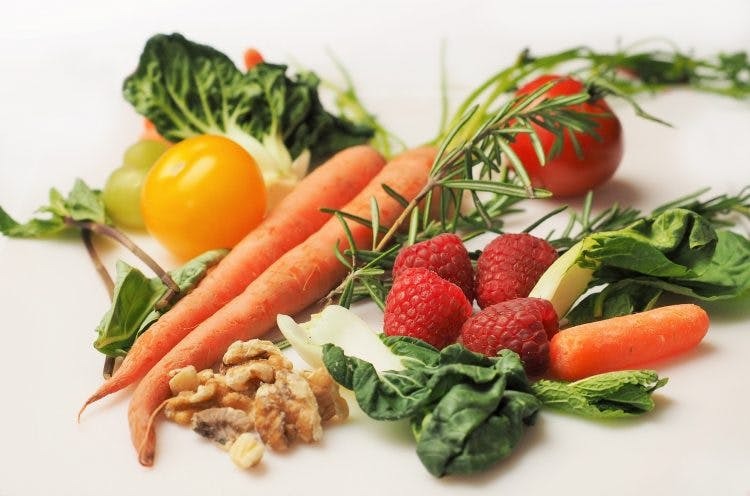 The MIND diet is a hybrid of the DASH and Mediterranean diets – two diets that are shown to protect against neurodegenerative diseases, among many others. The MIND diet is pretty simple to follow, too. It simply encourages the consumption of 10 foods and discourages 5. 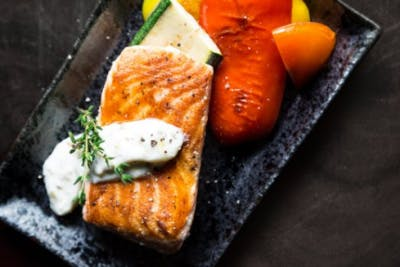 We wrapped up this article with the MIND diet because it ties up all the best foods for stroke recovery into one easy-to-follow plan. 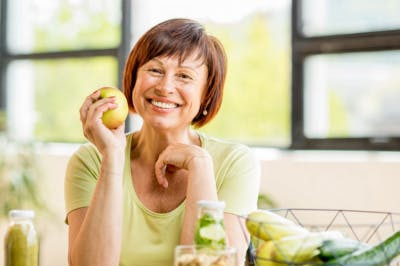 If you’re considering adding any of these healthy foods to your diet, be sure to consider your stroke risk factors, too. Some stroke risk factors, like high cholesterol and central obesity, can be worsened by fatty foods. 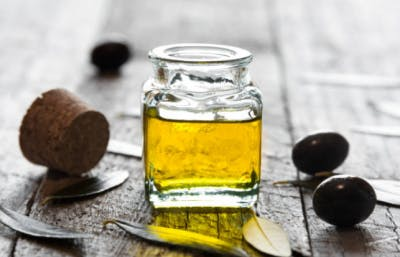 Although the foods on this list all contain the healthier types of fats, they should be consumed in smaller quantities if you have other medical conditions like high cholesterol after stroke. Overall, these foods will help promote a healthy brain and boost recovery from stroke. If you are considering making massive changes to your diet after stroke, be sure to consult with your doctor first.